You must be 25 years old to rent this home! The location of this property is perfect. You have a main home and guest cottage with a private pool in between the two homes. This custom-built home is in the prestigious community of Kiva Dunes. 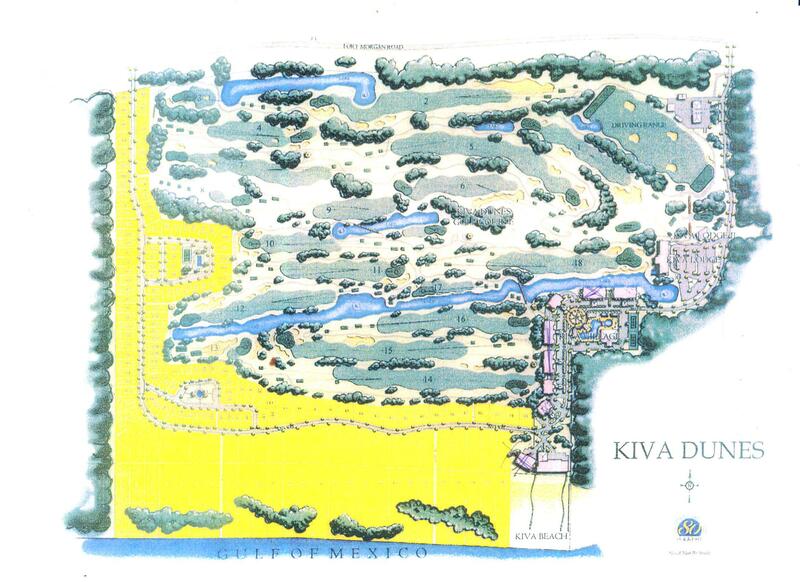 Kiva is home to a nationally acclaimed golf course and Alabama's largest private beach. The main house has four bedrooms and four full bathrooms and two half bathrooms. The guest Cottage includes two bedrooms and two and one ½ bath. Both homes have their own full size washer and dryer. This is a great vacation home with views of the 3rd, 4th, and 7th holes!! There is plenty of space for family and friends to gather. The large open floor plan on the third floor of the big house allows plenty of space for everyone to eat, play and relax together comfortably. There is a large open deck on the third floor and even larger view of the golf course. The second floor of the main home has a large screened in porch. The guest house is well appointed with a large living room, breakfast nook and kitchen. Both bedrooms in the guest house have private baths and large doors leading to the deck overlooking the golf course. The gated community enhances the felling of privacy. There are many big upgrades to this property including landscaping & BBQ area at the pool. 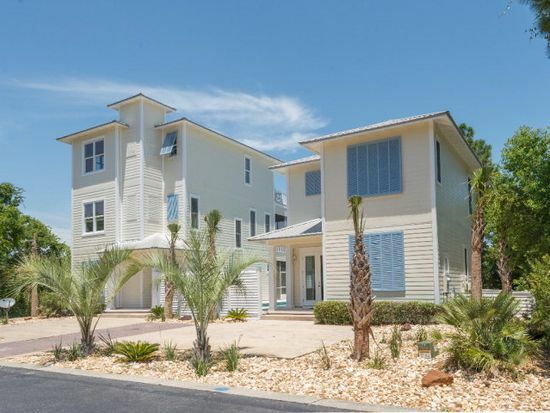 Kiva Dunes has all the amenities you could want in a vacation community. The club house has one of the best restaurants in the area. If you looking for a beautiful modern house with a private pool just minutes from the beach this is the place for you! This home is a mandatory Saturday to Saturday rental from Memorial Day to Labor Day. "My experience at this rental property was a great experience. The main house, guest house and property were very clean. The children really enjoyed swimming in the pool. We really enjoyed going to the beach and going to eat at some of the local restaurants. The children also enjoyed going to the water park. I would highly recommend this property for your next vacation"
"Thank you so much for the great review! We are so glad you enjoyed your stay at Kiva. It is a beautiful home with lots of room for big families! And it is a plus to have a private pool! Call us and let us book you at Kiva for next year!" "We had an awesome time and the house was past our expectation." "Yay!! So glad to hear this, we hope you'll come out and see us again!" "Gorgeous! Our stay was amazing and beautiful. Everyone was so kind even when I had an idiot moment and couldn't work the elevator. It was a perfect weekend! I can't wait to go back next year." "Whoop! So glad to hear this! Don't feel bad, we all have those moments!!" "If you use GPS to locate the property, it will take you to the owners entrance and you cannot get in those gates, so be sure to look for the main entrance sign before you arrive at the GPS location. The homes were nice, however, the guest home had dead bugs on a pillow and a few more were found around the house. It definitely needed dusting and a really good cleaning. We left and brought cleaning supplies from Wal-Mart and cleaned ourselves. The main house was nice, however, there were dead bugs found in the bunk bed room, the kids were excited about staying in there, but after the 2nd night they said 'no way' and bunked with the parents. We also had to do a really good cleaning of the main house as well (mopping & dusting). When we arrived the pool needed cleaning BADLY, however, the pool cleaner arrived the 2nd day and all was well. The frogs are a force to be reckoned with! LOL! The elevator was a nice addition for the older people and overall the house was comfortable. I truly believe that if the cleaning was shown more attention and the extermination was done a week prior to arrival, and the pool was cleaned the day of arrival, then this would have been the perfect vacation rental. " "Melanie, thank you so much for the important feedback, we always love to hear from our guests (good or bad) so we can continually improve! Very glad that you enjoyed the visit overall, and we would love to have you come back and stay with us! Yes, those frogs are something else!!"